Home / FILM POSTERS / Meet the Characters of Marvel's "Doctor Strange"
Meet the Characters of Marvel's "Doctor Strange"
Delve in the history and background of the characters behind Marvel's Doctor Strange and learn how they help Stephen Strange on his journey into becoming the Sorcerer Supreme. Check out the character posters below and watch the film when it opens nationwide on October 26! DOCTOR STEPHEN STRANGE (Benedict Cumberbatch) was once a celebrated but arrogant surgeon, until a tragic accident cost him his medical skills and career. Searching for a way to restore his talents, he traveled the world until he finally encountered The Ancient One, the enigmatic teacher who offered to teach him the ways of the Mystic Arts. 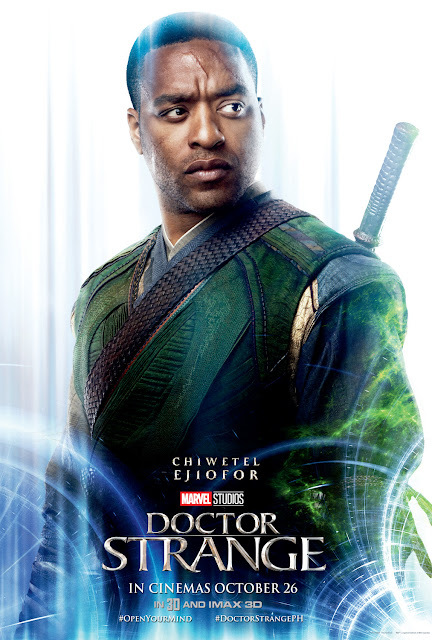 MORDO (Chiwetel Ejiofor). Like Doctor Strange, Karl Mordo was an apprentice of The Ancient One who learned the Mystic Arts and the paths of alternative dimensions. Complex and intense, he could well turn out to be a friend, a rival, or a bitter enemy to the Ancient One’s latest pupil. 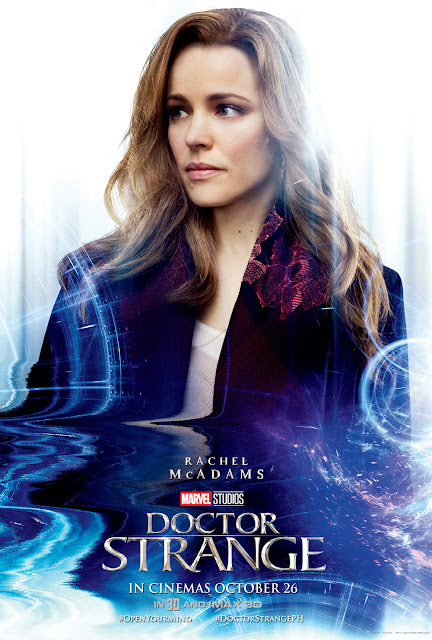 DOCTOR CHRISTINE PALMER (Rachel McAdams) is a highly skilled trauma surgeon, who is not only Dr. Strange’s colleague but a friend as well. When the devastating accident that crippled Strange’s hands takes a toll on their relationship, Dr. Palmer comes to realize that Strange needs to rediscover his worth on his own. But she never dreamed of the unlikely path that he would one day walk—or how it would come crashing back into her own life. 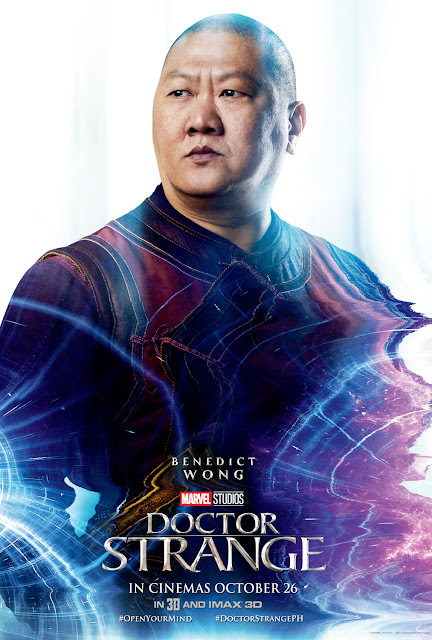 WONG (Benedict Wong). The keeper of Kamar-Taj’s vast library of mystical tomes, the no-nonsense Wong is tasked with not only deciding who is worthy of studying from The Ancient One’s private collection but also protecting the sacred incantations from falling into the wrong hands. While quiet and unassuming, make no mistake—if someone were to try to steal from Wong’s library, they’d have to get through him first. 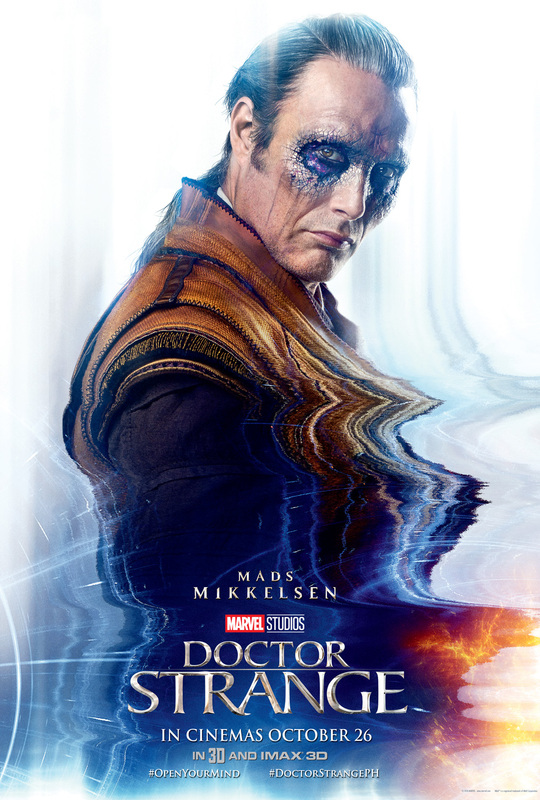 KAECILIUS (Mads Mikkelsen). Like many students at Kamar-Taj, Kaecilius arrived at the mystical compound seeking the secrets of The Multiverse. He turned his back on The Ancient One and her teachings when he believed certain knowledge was being kept from him. It’s within these forbidden powers Kaecilius sees the answer to all mankind’s suffering—the ability to alleviate the pains of the human condition. Kaecilius, joined by his Zealot followers, will use every malevolent tool at his disposal to see our reality melded with shadowy powers of this other dimension even if it leads to the destruction of existence as we know it. THE ANCIENT ONE (Tilda Swinton). 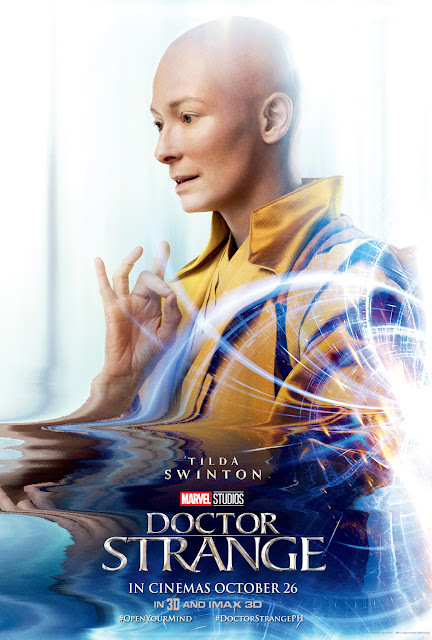 The wise and enigmatic figure known only as The Ancient One has safeguarded the secrets of the Mystic Arts for a very long time indeed. When she encountered Stephen Strange, the centuries-old sage saw potential in the bedraggled ex-surgeon and agreed to show him a new side to reality: the mystical way of magic! Directed by Scott Derrickson, “Doctor Strange” is based on the Marvel comic character who first appeared in “Strange Tales” Issue #110 published in July 1963. Marvel’s “Doctor Strange” continues the lineage of epic big-screen adventures chronicled in Marvel’s “Iron Man,” “The Incredible Hulk,” “Iron Man 2,” “Thor,” “Captain America: The First Avenger,” “The Avengers,” “Iron Man 3,” “Thor: The Dark World,” “Captain America: The Winter Soldier,” “Guardians of the Galaxy,” “Avengers: Age of Ultron,” “Ant-Man,” “Captain America: Civil War,” and the upcoming “Guardians of the Galaxy 2” (May 5, 2017) and “Thor: Ragnarok” (November 3, 2017). 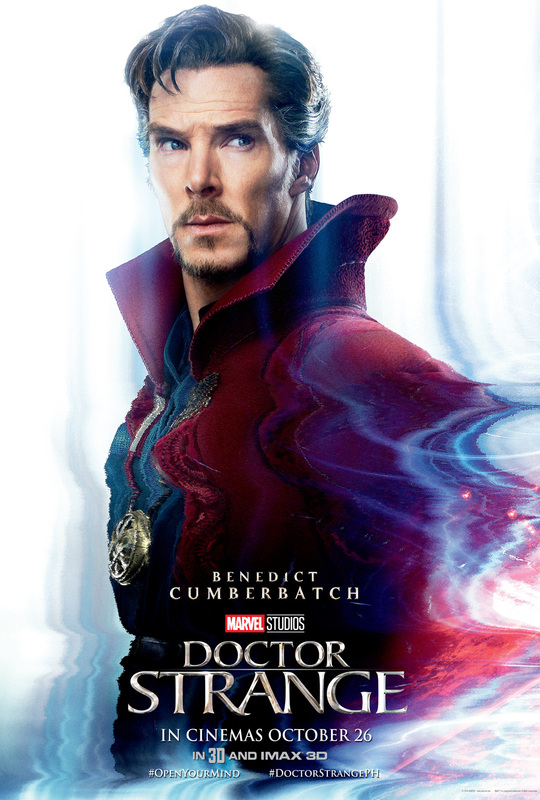 Explore the mystical world of "Doctor Strange" when it hits Philippine theaters October 26! Marvel's “Doctor Strange” is distributed in the Philippines by Walt Disney Studios Motion Pictures through Columbia Pictures.